Friend of Bengal, Bongobondhu Sheikh Mujibur Rahman was born in a prestigious Muslim family on March 17 1920, in the village Tungipara of Gopalganj district of Bangladesh. Bongobondhu spent his childhood in his village Tungipara with his family. When he was as of 7 years old, he began to going school at Gimadanga primary school. Bongobondhu Sheikh Mujibur Rahman married Begum Fazilatnnesa at 18 years. The couple became the happy parents of 2 daughters- Sheikh Hasina Wazed & Sheikh Rehana, and 3 sons were Sheikh Kamal, Sheikh Jamal & Sheikh Russel. Bongobondhu Sheikh Mujibur Rahman political career was effectively started while he was a student at Gopalganj missionary school. Sheikh Mujib led a group of students demanded to repair the cracked roof of the school when Sher-e-Bangla A. K. Fazlul Huq, Prime Minister of Bengal and Husein Shaheed Suhrawardy came to visit Gopalganj Missionary School. Bongobondhu Sheikh Mujibur Rahman passed the Entrance (SSC) Examination in the year 1942 . Bongobondhu then took admission in Calcutta Islamia Collage as an intermediate student in the Humanities faculty. That same year Bongobondhu Sheikh Mujibur Rahman got actively involved with the movement for the creation of Pakistan. Bongobondhu Sheikh Mujibur Rahman was elected GS of Islamia College Students Union in 1946. Sheikh Mojib obtained Bachelor of Arts (BA) degree from Islamia College under Calcutta University in 1947. Khwaja Nazimuddin’s comments touched off a storm of protest across East Pakistan. Bongobondhu Sheikh Mujibur Rahman rushed into actions to build a strong movement against the Muslim League’s plan to make Urdu the only state language of Pakistan. Bongobondhu Sheikh Mujibur Rahman established communication with students and political leaders of East Pakistan. On March 2, 1948, a meeting of the workers of different political parties was held to take ideas of the movement against the Muslim League on the language issue. The meeting held at Fazlul Huq Hall of Dhaka University approved desolation placed by Bangabandhu Sheikh Mujibur Rahman to form an All-Part Action Council. On Mach 11 the Action Council called for a general strike to show its protest against the conspiracy of the Muslim League against Bangla language. On March 11, Bangabandhu Sheikh Mujibur Rahman was arrested along with some leaders while they were holding a protest in front of the Secretariat building in Dhaka. Following the arrest of Bongobondhu Sheikh Mujibur Rahman the student community rose the protest. On March 15, Muslim League released Bangabandhu Sheikh Mujibur Rahman and other student leaders. In the following day, the All-Party State Language Action Council held a rally at Bat Tala of Dhaka . Bangabandhu Sheikh Mujib presided over the meeting, which were soon sets upon by the police. To protest the police action Bangabandhu Sheikh Mujibur Rahman immediately announced a student strike across the country for March 17 2048. On 19 May, Bangabandhu Sheikh Mujibur Rahman led a movement in support of the Dhaka University Class Four employees struggling to redress the discrimination done to them by their employers. Bongobondhu Sheikh Mujibur Rahman was arrested again on September 11. Bongobondhu Sheikh Mujibur Rahman was released from jail on January 21, 1949. Bangabandhu Sheikh Mujib extended his support to a strike called by the Class Four employees of Dhaka. The Dhaka University authorities illogically imposed a fine on Sheikh Mujib for leading the movement of the 4th clashs employees. Bongobondhu Sheikh Mujibur Rahman rejected the unlawful order. Eventually, the anti-Muslim League candidate Shamsul Huq won a by-election in Tangail on April 26, 1949, Sheikh Mujib was arrested for staging a sit-in strike before the Dhaka University vice-chancellor’s residence. On June 23, 1949, the East Pakistan Awami Muslim League was formed, Bangabandhu Sheikh Mujibur Rahman was elected Awami Muslim League’s joint secretary despite his imprisonment. Bongobondhu Sheikh Mujibur Rahman was released in late June. Sheikh Mujib began organizing an agitation against the essential food crisis after his released. In September 1949, Bongobondhu Sheikh Mujibur Rahman was arrested for violating Section 144. Later, Bangabandhu Sheikh Mujibur Rahman was released. In October 1949, Bongobondhu Sheikh Mujibur Rahman upraised the demand for Chief Minister Nurul Amin’s resignation at a meeting of the Awami Muslim League. Again Sheikh Mujib was arrested alone with Moulana Abdul Hamid Khan Bhashani for leading a movement to Liaquat Ali Khan. On January 01, 1950, Awami Muslim League brought out an anti-famine demonstration in Dhaka on the occasion of Prime Minister Liaquat Ali Khan’s visit to the East Pakistan. Once again Bangabandhu Sheikh Mujibur Rahman was arrested and jailed for two years for leading the protest. Khwaja Nazimuddin announced that Urdu would be the state language of Pakistan on 26 January 1952 again. Though Bongobondhu Sheikh Mujibur Rahman still in jail, managed to play a leading role in organizing a protest against this announcement. From prison Bongobondhu sent out a call to the State Language Action Council to obverse February 21 as Demand Day for releasing political prisoners and making Bangla the state language. Bongobondhu Sheikh Mujibur Rahman began a hunger strike from 14 February 1952. On 21 February the State Language Action Council violated Section-144 and brought out a demonstration in Dhaka to demand the recognition of Bangla as the state language. Police opened fire, killing in the protester Salam, Barkat, Rafique, Jabbar & Shafiur, who thus became martyrs of the Language Movement of 1952. In a statement from jail, Bangabandhu condemned the police firing on Language demonstrators and registered his strong protest. Bongobondhu Sheikh Mujibur Rahman was on hunger strike for 13 consecutive days in February 1952. Bangabandhu was moved from Dhaka central jail to Faridpur Jail to prevent him from making contact with the organizers of the language movement. Eventually Bongobondhu Sheikh Mujibur Rahman was released from jail on 26 February, 1952. On July 9, 1953 , Bangabandhu Sheikh Mujibur Rahman was elected general secretary of Awami Muslim League at a council session. Initiatives had taken to make unity among A. K. Fazlul Huq , Moulana Abdul Hamid Khan Bhashani & Shaheed Suhrawardy with the objective of taking on the Muslim League at the general elections. To achieve this goal, a special council session of Awami Muslim League was called on November 14, 1953, when a resolution to form the Jukta Front was approved. The first general elections of Pakistan were held on March 10, 1954. The United Front ( Jukto Front ) won 223 seats out of a total of 237, including 143 captured by the Awami Muslim League. Bangabandhu Sheikh Mujibur Rahman contested the Gopalganj constituency, defeated Muslim League Leader Wahiduzzaman by 13,000 votes. 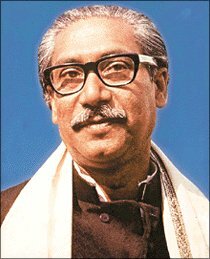 On 15 May 1954, Bangabandhu Sheikh Mujib was made minister for Agriculture and Forests when the new provincial government was formed. On 29 May, the central government arbitrarily dismissed the United Front ministry and arrested Bangabandhu Sheikh Mujibur Rahman again when he landed at Dhaka airport after a flight from Karachi, Pakistan on May 30, 1954. Bangabandhu Sheikh Mujibur Rahman was released on December 23 , 1954. Friend of Bengal Sheikh Mujibur Rahman was elected a member of the legislative assembly on 5th June, 1955 . The Awami League held a meeting at Paltan on June 17, 1955 where they announced a 21-point program demanding self-government for East Pakistan. 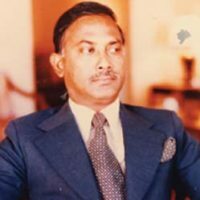 On June 23, the Working Council of the Awami League decided that Members of Parliament would resign from the legislative assembly if self-government was not granted to East Pakistan. On October 21, 1955, Awami Muslim League dropped the word “Muslim” from its name at a council session and Bangabandhu Sheikh Mujibur elected General Secretary of the party. On 3 February, 1956 , Awami League leaders, during a meeting with the Chief Minister of Pakistan, demanded that the subject of provincial self-government be included in the draft constitution. On July 14 1956, the Awami League at a meeting adopted a resolution opposing the representation of the military in the administration. Bangabandhu Sheikh Mujibur Rahman presented the resolution. On 4 September an anti-famine demonstration was brought out under the leadership of Bangabandhu Sheikh Mujib defying Section-144. At least 3 persons were killed when police opened fire on the procession in Chawkbazar area of Dhaka. On September 16, Bangabandhu Sheikh Mojibur Rahman jointed the coalition government, assuming he charge of Industries, Commerce, Labor, Anti-Corruption and Village Aid Ministry. Bongobondhu Sheikh Mujibur Rahman resigned from the cabinet and on August 7, 1957 he Bongobondhu went to China and Russia on an official tour. October 7, 1958 Army took the power of Pakistan Major General Iskandar Mirza, & the chief of Pakistan’s army General Ayub Khan imposed martial law and banned all politics. Bangabandhu Sheikh Mujibur Rahman was arrested on 11 October 1958. Afterward, he was continuously harassed through many cases. Bangabandhu was released from prison after 14 months, then again he was arrested again at the jail gate. In 1961, Bangabandhu Sheikh Mujibur Rahman was released after he won a writ petition in the High Court. He started underground politics against Military dictator Ayub Khan. Bangabandhu Sheikh Mujibur Rahman organized “Swadhin Bangla Biplobi Parishad” in order to work for the independecne. February 6, 1962 Bangabandhu Sheikh Mujibur Rahman was arrested again and free on June 8 after withdrawal of martial law on June 2. Bongobondhu Sheikh Mujibur Rahman deliver a speech in a public rally at Paltan where he criticized Ayub Khan. He went West Pakistan and met Shaheed Suhrawardy to form National Democratic Front. Bangabandhu Sheikh Mujibur Rahman went London to meet Suhrawardy who was there for treatment in 1963. Suhrawardy died in Beirut, Lebanon on December 5, 1963.
on January 25, 1964, Moulana Abdur Rashid Tarkabagish elected President and Bangabandhu as General Secretary in a meeting at Bangabandhu Recidence. All Party Action Council form on March 11, 1964 and again Bangabandhu Sheikh Mujibur Rahman arrested before 14 days of presidential election of Pakistan. Bangabandhu Sheikh Mujibur Rahman was arrested in a sedition case and sentence for one year in 1965 but later released on an order of High Court. Bongobondhu Sheikh Mujibur Rahman placed historic 6-point demand at a conference of opposition parties held in Lahore on February 5, 1966. Bangabandhu elected President of Awami League on March 1. He started campain on 6-point accross the country and arrested on may 8. A contry wide strike observed on 7 June 1966 to release political leaders including Bangabandhu Sheikh Mujibur Rahman. Police killed a number of people in Dhaka, Narayangang and Tongi. Bongobondhu Sheikh Mujibur Rahman and 34 Bengalee military arrested in Agartola conspiracy case and demonstration started across the East Pakistan, the trial began inside Dhaka Cantonment on June 19, 1968. The Central Students Action Council was formed on January 5, 1969 to press for the acceptance of the 11-point demand that included the 6-point of Bangabandhu Sheikh Mujibur Rahman. The council initiated a countrywide student agitation to force the government to withdraw the Agartala conspiracy case and release Bangabandhu Sheikh Mujib. The agitation gradually developed into a mass movement. After months of protests, violations of Section-144 and curfews, firing by the police and the EPR and a number of casualties, the movement peaked into an unprecedented mass upsurge that forced Ayub Khan to convene a round-table conference of political leaders and announce Bangabandhu Sheikh Mujibur Rahman release on parole. On 22 February 1969, the central government bowed to the continued mass protests and free Bangabandhu Sheikh Mujibur Rahman and the other co-accused. The conspiracy case was withdrawn. The Central Student Action Council arranged a reception in honor of Sheikh Mujibur Rahman on 23 February, 1969 at the racecourse Suhrawardy Uddyan. At this meeting of one million people, Bongobondhu Sheikh Mujibur Rahman was publicly acclaimed as Bangabandhu or Friend of Bengal. In his speech on the occasion, Bangabandhu pledged his total support to the 11-point demand of the student. 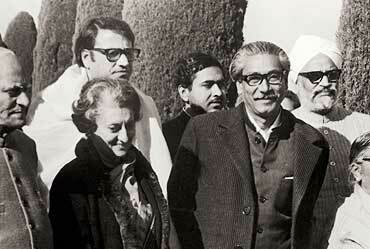 Bongobondhu Sheikh Mujibur Rahman was re-elected President of the Awami League on 6 January, 1970. The Awami League at a meeting of the Working committee on 1 April decided to take part in the general elections scheduled for later that year. 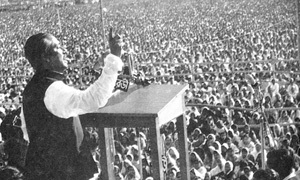 On 7 June, Bongobondhu Sheikh Mujibur Rahman addressed a public meeting at the racecourse ground and urged the people to elect his party on the issue of the 6-point demand. 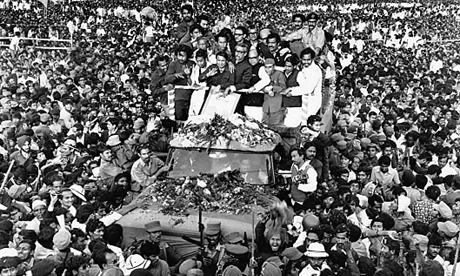 On 17 October, Bangabandhu Sheikh Mujib selected the boat as his party’s election symbol and launched his campaign through an election rally at Dhaka’s Dholai Khal. On 28 October, Bangabandhu addressed the nation over radio and television and called upon the people to elect his party’s candidates to implement the 6-point demand. When a mighty cyclone storm hit the coastal belt of Bangladesh, killing at lest one million people, Bangabandhu Sheikh Mujib suspended his election campaign and rushed to the aid of the helpless people in the affected areas. Bongobondhu strongly condemned the Pakistani rulers indifference to the cyclone victims and protested against it. Sheikh Mujibur Rahman called on the international community to help the people affected by the cyclone. In the general elections held on 7 December, the Awami League gained an absolute majority. The Awami League secured 167 out of 169 National Assembly seats in the then East Pakistan and gained 305 out of 310 seats in the Provincial Assembly. On March 1, Yahya Khan abruptly postponed the National Assembly session, prompting a storm of protest and throughout Bangladesh. Bongobondhu Sheikh Mujibur Rahman called an emergency meeting of the working committee of the Awami League, which called a countrywide hartal for 3 March. After the hartal was successfully observed, Sheikh Mujibur Rahman called on the President to immediately transfer power to his party. Bongobondhu Sheikh Mujibur Rahman advised the people to prepare themselves for a guerilla war against the enemy. He asked the people to start a total non-cooperation movement against the government of Yahya Khan. There were ineffectual orders from Yahya Khan on the one hand, while the nation, on the other hand, received directives from Bangabandhu Road no. 32 residence. The entire nation carried out Bangabandhu Sheikh Mujib instructions. 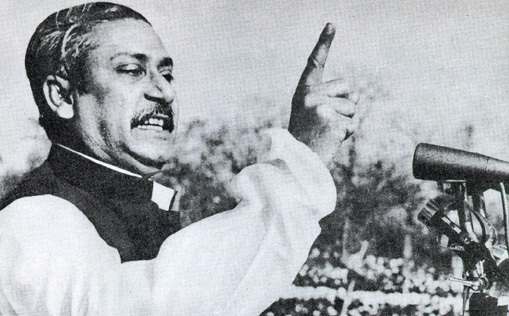 Ever organization, including government offices, banks, insurance companies, schools, colleges, mills and factories obeyed Bangabandhu directives. The response of the people of Bangladesh to Bangabandhu call was unparalleled in history. It was Bangabandhu who conducted the administration of an independent Bangladesh from March 7 to March 25. On 16 March, Yahya Khan came to Dhaka for talks with Bangabandhu on the transfer of power. Bhutto also came a few days later to Dhaka for talks. The Mujib-Yahya-Bhutto talks continued until 24 March. Yahya Khan left Dhaka in the evening of 25 March in secrecy. On the night of 25 March, the Pakistan army cracked down on the innocent unarmed Bangalees. They attacked Dhaka University, the Peelkhana Headquarters of the then East Pakistan Rifles and the Rajarbagh Police Headquarters. Bongobondhu Sheikh Mujibur Rahman called upon all sections of people, including Bangalee military and civilian personnel, students, workers and peasants, to join the resistance against the occupation Pakistan army. This message of Bangabandhu Sheikh Mujib was immediately disseminated throughout the country through radio equipment under special arrangements. The same night jawans and officers in Chittagong, Comilla and Jessore cantonments put up resistance to the Pakistan army after receiving this message. Bangabandhu declaration was broadcast by Chittagong Radio station. The Pakistan army arrested Bangabandhu Sheikh Mujibur Rahman from his Dhanmondi residence at 1-10 am and whisked him away to Dhaka cantonment. On 26 March he was flown to Pakistan as a prisoner. The same day, General Yahya Khan, in a broadcast banned the Awami League and called Bangabandhu Sheikh Mujib a traitor. On 26 March, M. A. Hannan, an Awami League leader in Chittagong, read out Bangabandhu Sheikh Mujibur Rahman declaration of dependence over Chittagong radio. On 10 April, The Provisional Revolutionary Government of Bangladesh was formed with Bangabandhu Sheikh Mujibur Rahman as President. The revolutionary government took the oath of office on April 17 at the Amrakanan of Baidyanathtala in Meherpur, which is now known as Mujibnagar. Bangabandhu Sheikh Mujibur Rahman was elected President, Syed Nazrul Islam acting President and Tajuddin Ahmed Prime Minister. The Liberation War ended on December 16 1971 when the Pakistani occupation forces surrendered at the historic racecourse ground accepting defeat in the glorious was led by the revolutionary government in exile. Bangladesh were finally free. Earlier, between August and September of 1971, the Pakistani junta held a secret trial of Bangabandhu Sheikh Mujibur Rahman inside Lyallpur jail in Pakistan. He was sentenced to death. The freedom-loving people of the world demanded absolute security of Bangabandhu Sheikh Mujibur Rahman life. Once Bangladesh was liberated, the Bangladesh government demanded that Friend of Bengal be released immediately and unconditionally. A number of countries, including India and the Russia, and various international organizations urged the release of Bangabandhu. Pakistan had no right to hold Bangabandhu, who was the architect of Bangladesh. In the meantime, Bangladesh had been recognized by many countries of the world. The Pakistan government freed Bongobondhu Sheikh Mujibur Rahman on January 8, 1972. Bangabandhu was seen off at Rawalpindi by Zulfiquar Ali Bhutto, by now Pakistan’s president the same day Bangabandhu Sheikh Mujib left for London en route to Dhaka. In London, British Prime Minister Edward Heath met with Sheikh Mujibur Rahman. On his way back home from London Bangabandhu had a stop-over in New Delhi, where Sheikh Mujibur Rahman was received by Indian President V. V. Giri and Prime Minister Indira Gandhi. A memorable reception was accorded to Bangabandhu Sheikh Mujibur Rahman when he reached Dhaka on January 10. From the airport he drove straight to the Racecourse Ground where he made a tearful address before the country. On 12 January, Bangabandhu Sheikh Mujibur Rahman became Bangladesh’s Prime Minister. On February 6 Bangabandhu Sheikh Mujib traveled to India at the invitation of the Indian government. 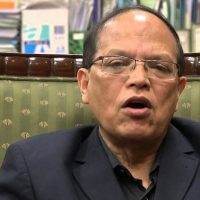 After twenty-four years the Dhaka University authorities rescinded his expulsion order and accorded him the University’s life membership. On March 1 Bongobondhu Sheikh Mujibur Rahman went to the Russia on an official visit. The allied Indian army left Dhaka on 17 March at the request of Bangabandhu. On May 1 Bangabandhu Sheikh Mujibur Rahman announced a raise in the salary of class three and four employees of the government. On July 30 Bangabandhu Sheikh Mujibur Rahman underwent a gall bladder operation in London, England. From there he went to Geneva. On October 10 the World Peace Council conferred the Julio Curie award on Bongobondhu Sheikh Mujibur Rahman. On 4 November, Bangabandhu Sheikh Mujibur Rahman announced that the first general election in Bangladesh would be held on 7 March, 1973. On 15 December, Sheikh Mujib government announced the provision of according state awards to the freedom fighters. On the first anniversary of liberation the constitution of the People’s Republic of Bangladesh was framed. The People’s Republic of Bangladesh was accorded membership of the United Nations. On September 24, 1974 Bangabandhu Sheikh Mujibur Rahman addressed the UN General Assembly in Bangla. On January 25, 1975, the country switched over to the presidential system of governance and Bangabandhu Sheikh Mujibur Rahman took over as President of the republic. On 24 February, Bangladesh Krishak Sramik Awami League, comprising all the political parties of the country, was formed. On February 25, Bongobondhu Sheikh Mujibur Rahman called upon all political parties and leaders to join this national party. He felt the need for making Bangladesh a self-reliant nation by reducing dependence on foreign aid. So he overhauled the economic policies to achieve the goal of self-reliance, He launched the Second Revolution to make independence meaningful and ensure food, clothing, shelter, medicare, education and work to the people. The objectives of the revolution were: elimination of corruption, boosting production in mills, factories and fields, population control and establishment of national unity. Bongobondhu Sheikh Mujibur Rahman received an unprecedented response to his call to achieve economic freedom by uniting the entire nation. The economy started picking up rapidly within a short time. Production increased. Smuggling stopped. 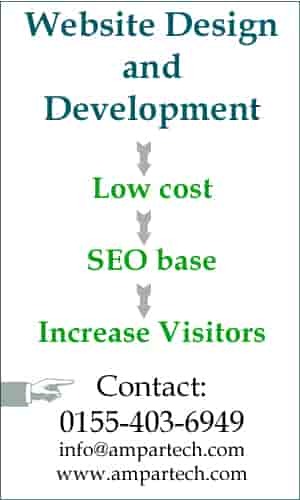 The prices of essentials came down to within the purchasing capacity of the common man. Imbued with new hope, the people untidily marched forward to extend the benefits of independence to ever doorstep. But that condition did not last long. In the pre-dawn hours of 15 August, 1975, the noblest and the greatest of Bengalees in a thousand years, Bangabandhu Sheikh Mujibur Rahman, the architect of Bangladesh was assassinated by a handful of ambitious and treacherous military officers. On that day, Bongobondhu Sheikh Mujibur Rahman wife, a noble woman, Begum Fazilatunnessa; his eldest son, freedom fighter Sheikh Kamal; second son Lt. Sheikh Jamal; youngest son Sheikh Russel; two daughters-in-law Sultana kamal and Rosy kamal; Bangabandhu Sheikh Mujibu’s brother Sheikh Naser; brother-in-law and agriculture minister Abdur Rab Serniabat and his daughter Baby Serniabat; Arif Serniabat, grand son Sukanto Abdullah and nephew Shahid Serniabat Bangabandhu nephew, youth leader and journalist Sheikh Fazlul Huq Moni and his pregnant wife Arzoo Moni; Bangabandhu security officer Brig. Jamil and a 14-year-old boy Rintoo were killed. 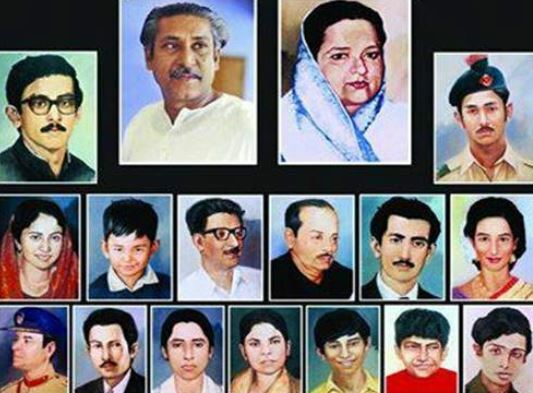 In all the killers slaughtered 17 members and relatives of Bangabandhu family. 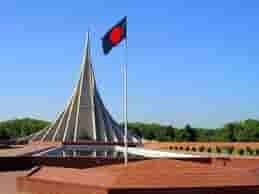 August 15, 1975, is the blackest day in Bangladesh national life. The nation observes this day as National Mourning Day. Bongobondhu Sheikh Mujibur Rahman is the Greatest Leader of Bangladesh. 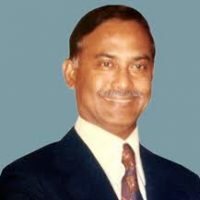 Bongobondhu was a person who Lead the Nation to achieve Bangladesh Independent. Bangabandhu Sheikh Mujibur Rahman is called founder of the nation or architect of the nation. Sheikh Rasel was a youngest son of Mujibur Rahman who was killed by some army officer on 15 August 1975 with his 16 family members. Sheikh Mujib was struggled against discrimination of Pakistani administration to get freedom of economy and to have a peaceful development country like Bangladesh. Bongobondhu Sheikh Mujibur Rahman was arrested many times for his voice against west Pakistan Government. Banga Bandhu Sheikh Mujibur Rahman was a brave hero Bengali who never was afraid of his arrest or any kind of jail. Mojibur Rahman placed his name in the deep core of Bangladeshi people by his great leadership for the sake of the country. Bangla Bondhu Sheikh Mujibur Rahman never think about his family or his personal life but fight against Pakistani ruler to see a independent Bangladesh. There are many Sheikh Mujib Photo or portrait that are available in the website with his family. Bangladesh government also has a obligation to display Sheikh Mujibur Rahman Photos with Sheikh Hasina in government offices. 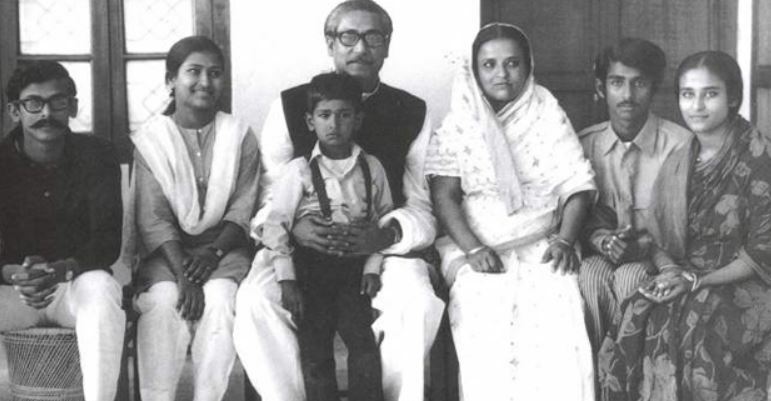 Bongobondhu Sheikh Mujibur Rahman Photos with his family members including current Prime Minister Sheikh Hasina and Sheikh Rehana also his daughter. During celebration of different days about Bango Bondhur country men use Sheikh Mujibur Rahman Picture from the very unseen collection as we can see banner, festoon, billboard beside road in the city. Picture of Bangabandhu Sheikh Mujibur Rahman really a great collection and valuable. We should have free access to use Bangabondu Sheikh Mujibur Rahman image without asking to any authority. The greatest leader Bongo Bondhu Sheikh Mujib is not now with us but we have his inspiration, we can be encourage by his leadership to fight against corruption and any other discrimination. The book about Bongobondhu Sheikh Mujibur Rahman Life was not completed by himself but later the great historical book completed by his daughter Sheikh Hasina recently. If we say hundred thousand words About Sheikh Mujibur Rahman never will finish History of Sheikh Mujibur Rahman.